The St. Patrick’s Day Parade in Arklow starts this year at the earlier time of 2pm, PLEASE NOTE CHANGE IN START TIME, allowing people time to get to see Ireland V England play in the crucial game of the 6 Nations Rugby in Twickenham….. and bring the grand slam back to Ireland. This year there is a suggested Theme for participants “Bring Your Favourite Book to Life”, aimed primarily at Commercial Floats, groups can also adopt this theme if they wish. We would encourage everyone to get involved in this year’s Parade and showcasing what is great about Arklow and free publicity for your Business/group/organization. 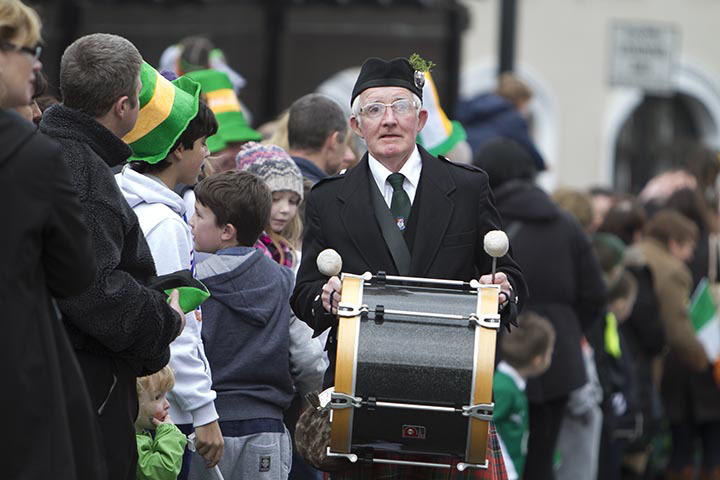 Please Note all Marching Groups to assemble on Mellows Avenue for 1.30pm and Commercial/Non Commercial Floats/Displays should be on Yellow Lane for1.15pm. Early arrival by all participants is encouraged to get off promptly for 2pm SHARP. Winners will be presented with their prizes on Friday 23rd March at 8pm in The Bridge Hotel, Arklow.